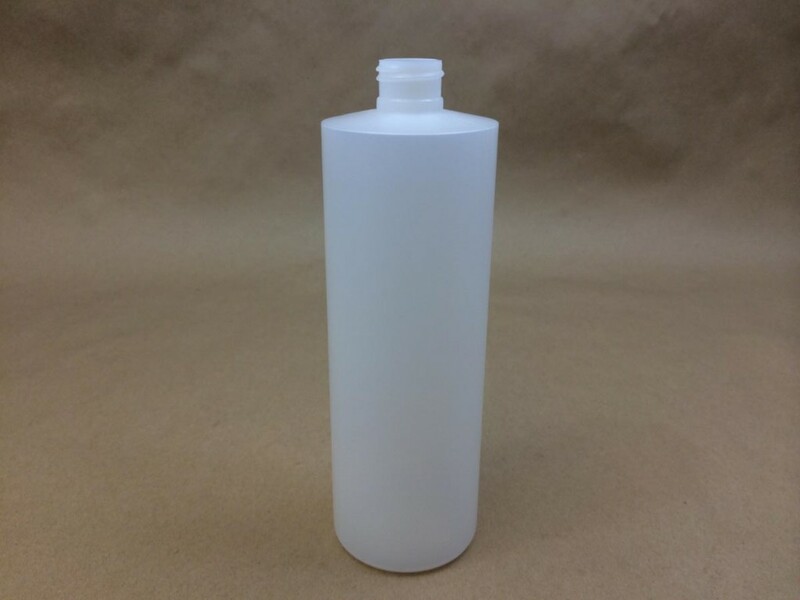 Many times we get questions from our customers asking what the difference is between modern round and cylinder bottles. We find that pictures are the best way to ensure that a customer knows what product they are ordering. We also send samples of our smaller items at no cost, however not all customers can wait for a sample. This article will attempt to clarify the differences between our modern rounds and our cylinders. 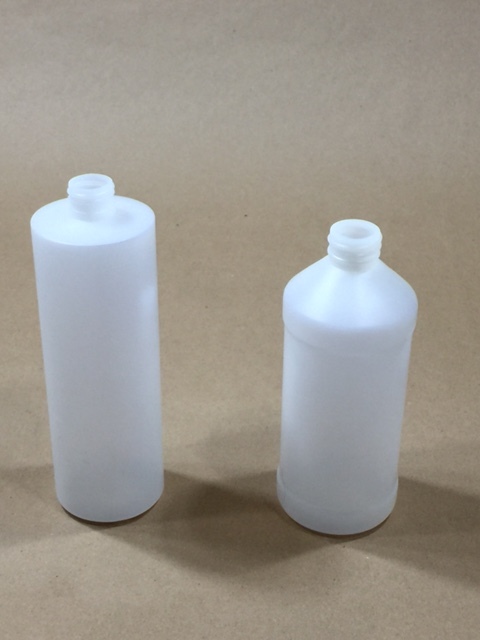 The picture on the left above is of our 16 ounce cylinder bottle. 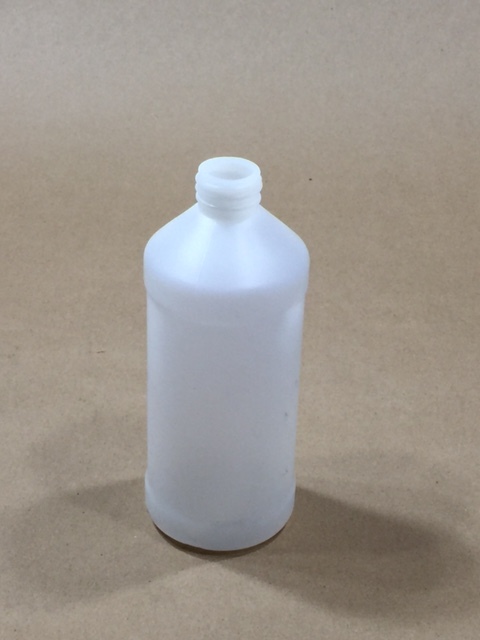 It is made from HDPE, high density polyethylene. Cylinder bottles are straight sided. They are tall and narrow with horizontal shoulders. 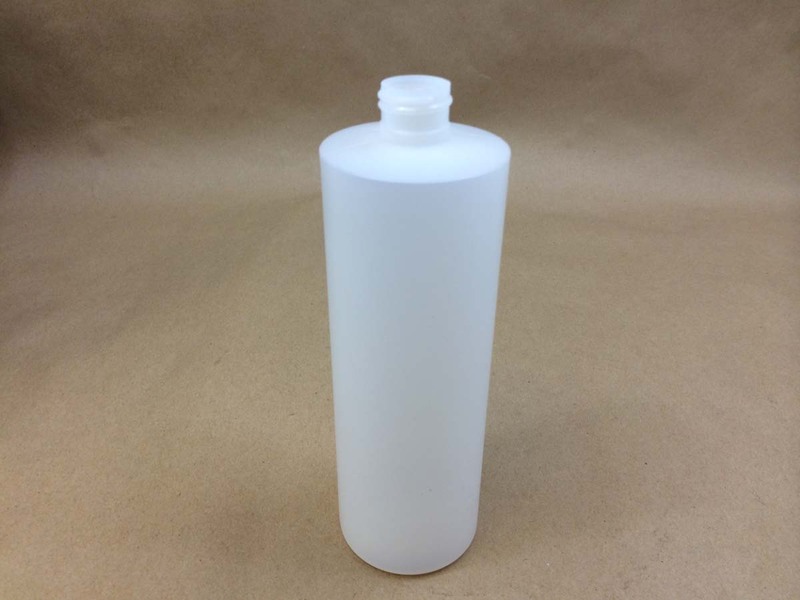 The opening on a cylinder is much narrower than the rest of the bottle. 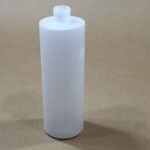 Listed below are the plastic cylinders that we stock. One of the cylinders has a 28 410 opening and the other cylinder has a smaller 24 410 opening. The picture on the left above is of our 16 ounce modern round bottle. 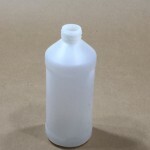 It also is made from HDPE, high density polyethylene. It has a 28 410 opening. 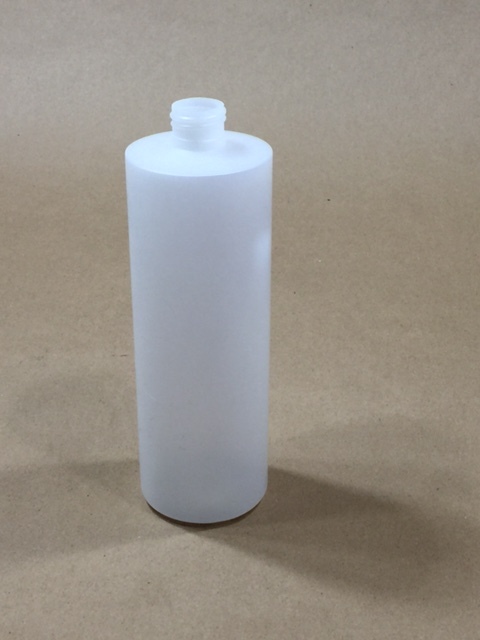 Modern round plastic bottles have a sharply angled shoulder that extends from the main diameter of the bottle up to the neck. The indentation between the ring around the base and the ring around the shoulders is called a label panel.